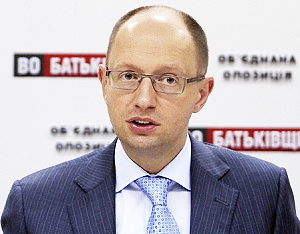 The Kiev Post covers Sept. 16 remarks by Ukrainian Prime Minister Arseniy Yatsenyuk addressing multiple challenges facing Ukraine, including a goal of European integration in the face of Russian opposition. Ukrainian Prime Minister Arseniy Yatsenyuk hardly left anyone out during a televised government meeting on Sept. 16. He charged at Russia, parliament, government coalition partners, local authorities and the customs and tax services.